On May 23, the US Food and Drug Administration apparently approved a new formulation of abiraterone acetate, known as Yonsa®, for the treatment of patients with metastatic castration-resistant prostate cancer (mCRPC). Quite how we missed this piece of news we don’t know since we are usually advised of the approval of all new drugs for the treatment of prostate cancer. However, … here is a link to the media release announcing approval. Yonsa can be taken with or without food whereas Zytiga is approved only to be taken without food. The recommended daily dose of Yonsa is 500 mg (four 125 mg tablets) per day together with methylprednisone 5 mg twice daily whereas the recommended daily dose of Zytiga is 1000 mg (two 500 mg tablets or four 250 mg tablets) with 5 mg prednisone twice daily. The most common adverse reactions to treatment with Yonsa (occurring in ≥ 10 percent of patients) are fatigue, joint swelling or discomfort, edema, hot flush, diarrhea, vomiting, cough, hypertension, dyspnea, urinary tract infection, and contusion. The most common laboratory abnormalities (occurring in > 20 percent of patients) are anemia, elevated alkaline phosphatase, hypertriglyceridemia, lymphopenia, hypercholesterolemia, hyperglycemia, elevated AST, hypophosphatemia, elevated ALT, and hypokalemia. We do not yet have any clear idea of the relative prices of Zytiga and Yonsa, but we can expect that the marketers of Yonsa in the US (Sun Pharmaceuticals) will be making a determined attempt to gain market share as fast as possible. Patients who are currently taking abiraterone acetate as Zytiga may want to discuss with their doctors the pros and cons of switching to Yonsa and whether that is a reasonable thing to do. Please note that Yonsa is indicated only for the treatment of mCRPC, whereas Zytiga is indicated for the treatment of mCRPC and for the treatment of metastatic, high-risk, castration-sensitive prostate cancer. As with Zytiga, prostate cancer patients taking Yonsa should also be taking a standard formulation of an LHRH agonist such as leuprolide acetate or similar. What’s with the fascination for the end of the alphabet for these recent prostate cancer drug brand names? 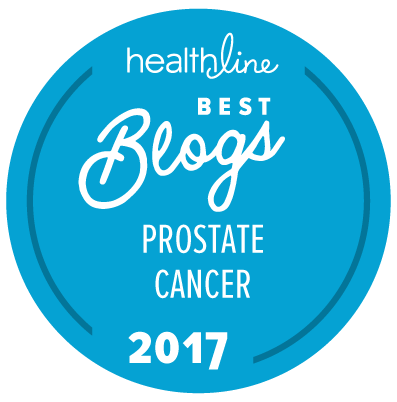 (Zytiga®, Xtandi®, Xofigo®, Yonsa®, and that’s just for prostate cancer)? Why can’t we have a new drug starting with Q for Pete’s sake! Seriously, this continues the good news of approval of more drugs for advanced prostate cancer!